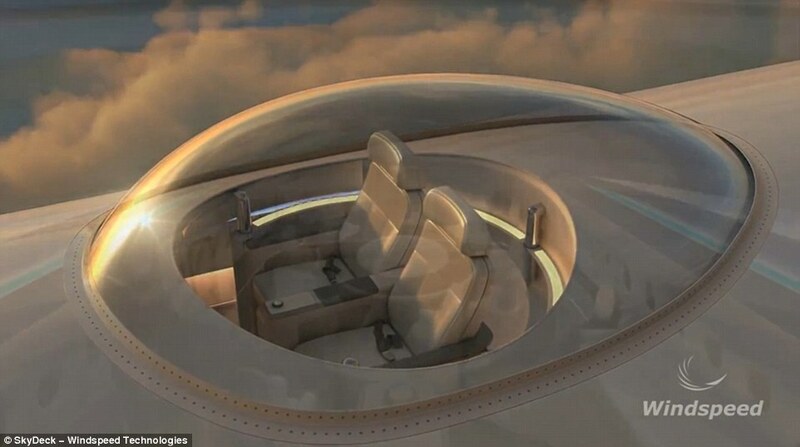 Passengers on board jets may soon have a new way to pass long journeys – a glass SkyDeck area that would offer 360-degree views of the outside world. 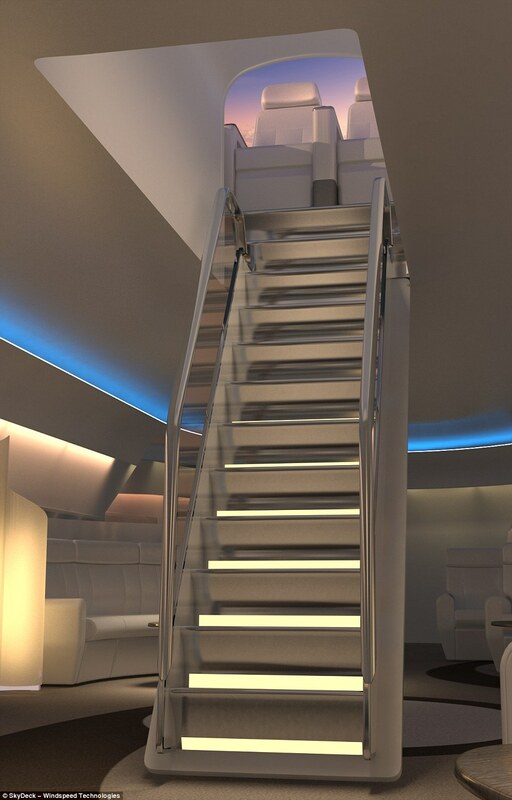 Windspeed Technologies designed the unique seating area that is located within a protruding transparent pod through the top of the plane. 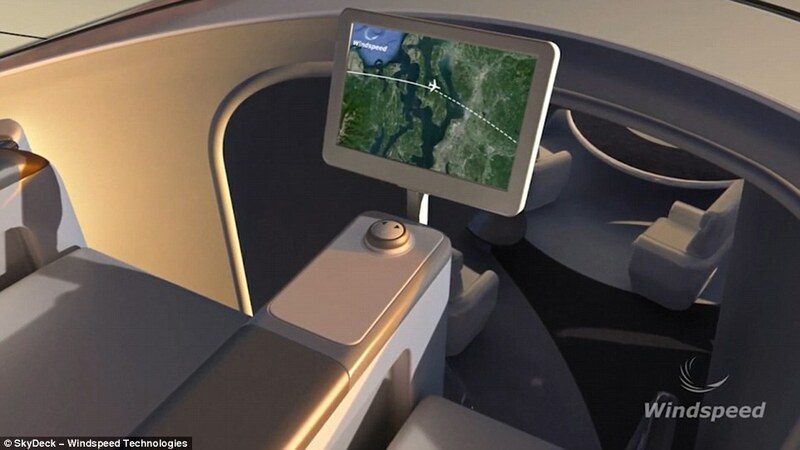 The in-flight entertainment product is hoped to be a feature that can be installed on private jets as a VIP amenity or as a pay-per-view experience on passenger airliners. SkyDeck’s seats are designed to be rotated in any direction during the journey to provide unbeatable mile-high perspectives. The teardrop shape and shallow height have been chosen to not interfere with airflow across a plane’s fuselage and tail surfaces, with the aerodynamic profile minimising drag. 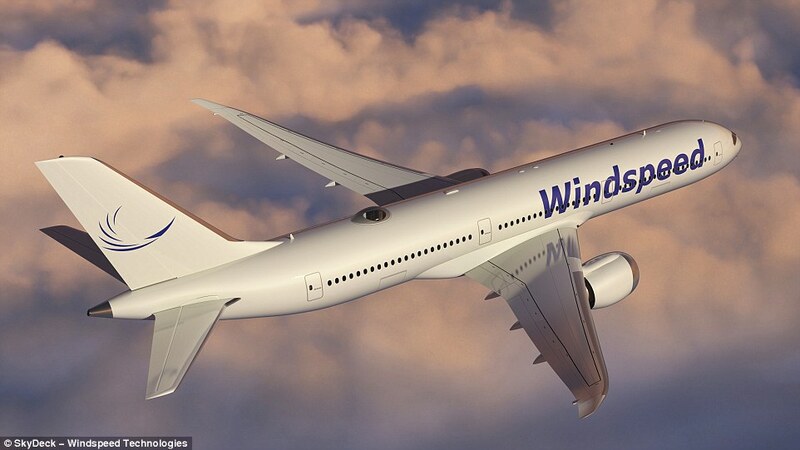 According to Windspeed the unique viewing area would add to fuel consumption although airlines could gain extra revenue from guests wishing to experience the pod. An anti-condensation film would prevent fogging and canopies would have a UV-protection coating and be made from high-strength materials that are designed to withstand all load conditions including bird strikes. The company has been developing the concept for more than a year and have filed a patent application. ‘Current in-flight entertainment offerings have not changed much over the decades,’ the website states. ‘We wanted to come up with a product that would provide a higher level of entertainment to reduce the boredom of long flights. 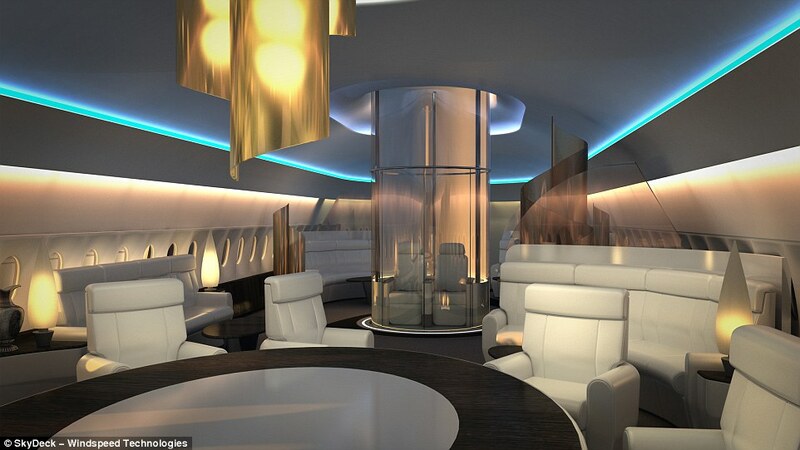 Robb Report wrote how the estimates of the price per aircraft would be about $8 million to $25 million. ‘The concept attracted a lot of attention at the recent conference of the National Business Aviation Association, in Las Vegas,’ says Shakil Hussain, the firm’s CEO.